Family run holiday cottage in a rural hamlet within the Lake District National Park. Clean, quality, self-catering holiday accommodation in the rural hamlet of Redmain, two miles from Cockermouth, Cumbria. The Hayloft is converted from a 17th century stone barn and has lofted ceilings and exposed stone walls. It is exceptionally clean and warm and bed linen is 100% cotton with duvets. 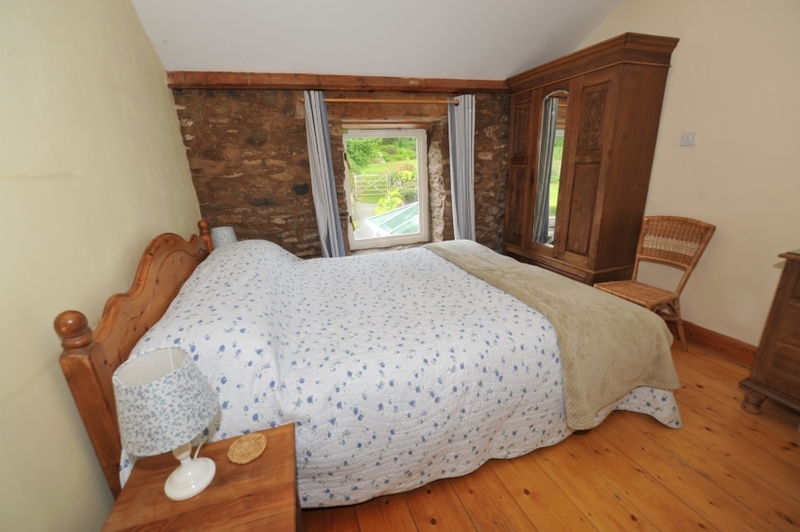 The Hayloft has a king-size bed and is equipped with fridge, freezer, microwave, washer/dryer, colour TV, Freeview, DVD/CD player, radio, vacuum cleaner, central heating and a power shower over the bath. Linen and towels are included along with blankets and duvet. Sleeps two people plus baby. A small sofa bed, located in the lounge, can sleep a third person - this attracts an additional daily supplement of £8. Wifi Internet access provides unlimited free fibre WiFi up to 10Mbps speed. Arrival time 16.00 and departure time 10.30. A travel cot (babies up to 15kg in weight) is available free of charge - bring your own bedding. Redmain is a peaceful rural hamlet two miles from the pleasant market town of Cockermouth and ten miles from both Keswick and the Solway Coast with it's long sandy beaches and bracing walks. Windermere and Ambleside are less than an hours drive away. 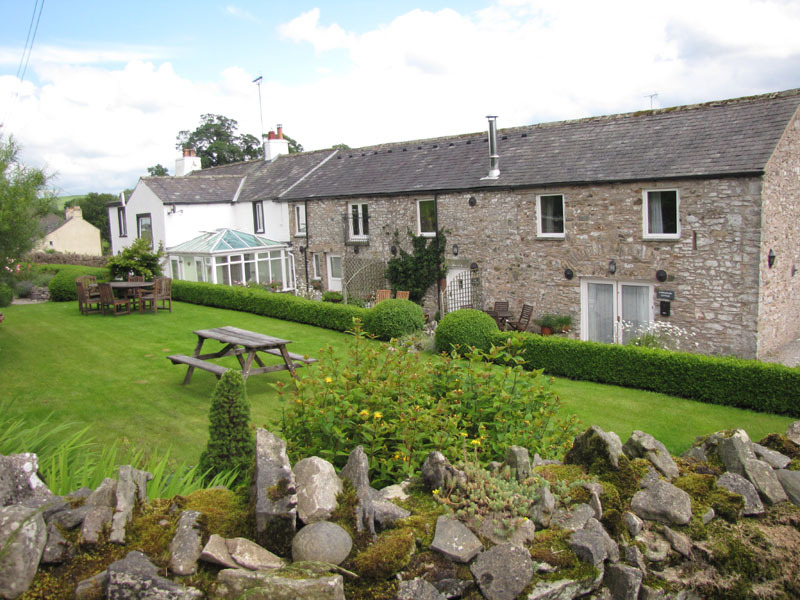 Redmain House dates from the 1690’s and is a traditional Cumbrian long house with attached stone barns from which the holiday cottage has been converted to a very high standard, whilst retaining many original features. Close by are some of the Western lakes most imposing fells - Skiddaw, Grassmoor, Red Pike, Highstyle and Grisedale Pike. The Western lakes include Bassenthwaite Lake with Sailing Club and Osprey view point, Loweswater for rowing and walking, Derwentwater for kayaking and boat rides and island hopping, Buttermere for walking and sheer beauty, Crummock Water and the jewel in the wild crown is Ennerdale, superb biking and walking and getting away from the crowds and home to the famous Pillar Rock and Steeple. If you don’t fancy walking the big hills take time to visit the Solway Coast, area of outstanding natural beauty, with long sandy beaches and beautiful views across the Solway Firth towards the Scottish Hills. Ideally situated, this quiet hamlet forms part of the Allerdale Ramble near Bassenthwaite Lake, and the Coast to Coast (C2C) path is nearby. You can relax in the garden or amble along to the next village of Blindcrake admiring the valley scenery with the River Derwent below. Keswick is 8 miles away. We can recommend some less daunting walks that still give spectacular views. Other activities nearby include horse riding, canoeing, sailing, Whinlatter Forest Park, golf, fishing, climbing and well-established biking routes to suit all abilities. Nearby Cockermouth has plenty of restaurants from traditional to Chinese, Indian, vegetarian and Italian and some very interesting local pubs and brews. So if you fancy dining out there is plenty of choice and some will deliver to the door. We look forward to welcoming you to this peaceful and beautiful part of the Lake District National Park and hope your stay will be enjoyable. We haven't had a disappointed customer yet!